The US Agency for International Development (USAID) made a big splash in the carbon markets last week with the announcement that it will partially guarantee investments made by the Althelia Climate Fund for up to $133.8 million. But as agency officials made clear at the Carbon Expo conference in Germany, it’s no newcomer to the REDD space, having actively supported the development of projects in Colombia for years. 3 June 2014 | In the shadow of political uncertainty and Congressional inaction, US President Barack Obama has not been shy about his using his executive authority to support projects that reduce emissions from deforestation and forest degradation (REDD+). His administration has pledged $1 billion to REDD+ efforts in recognition of the fact that as much as 80% of greenhouse gas (GHG) emissions come from the land use sector in some developing countries. 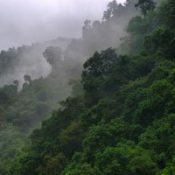 The US Agency for International Development (USAID) kicked these efforts up a notch with last week’s announcement that it will offer a new-risk sharing loan guarantee to enable the Althelia Climate Fund to lend up to $133.8 million in commercial financing for forest conservation and sustainable land use projects in developing countries. The Althelia guarantee is the first of what the agency hopes will be similar transactions with other partners. But the Obama administration, through USAID, had already invested time and resources in supporting REDD+ projects. The agency previously developed the BioREDD+ program in Colombia, which started in 2011 and will run through 2014. Through the program, $27.8 million will be invested in biodiversity, REDD, and climate change adaptation, with eight REDD+ projects totaling more than 700,000 hectares being developed in the Colombian Pacific Coast to be validated under the Verified Carbon Standard and the Climate, Community and Biodiversity Alliance. These REDD+ projects have emission reduction potential of more than two million metric tonnes of carbon dioxide per year from avoided deforestation and degradation, as well as regeneration of forests, according to USAID. They also offer biodiversity benefits via protection of the Chocí³ Biogeographic Region – one of the world’s 10 “biodiversity hotspots.” The region is home to 9,000 species of vascular plants, 200 mammals, 600 birds, 100 reptiles, and 120 amphibians – many of which are endemic to Colombia – and the REDD+ investments will support the protection of species listed by the International Union for Conservation of Nature as endangered. To read the rest of this story, please visit the Forest Carbon Portal for free. Gloria Gonzalez is a Senior Associate in Ecosystem Marketplace’s Carbon Program. She can be reached at ggonzalez@ecosystemmarketplace.com.